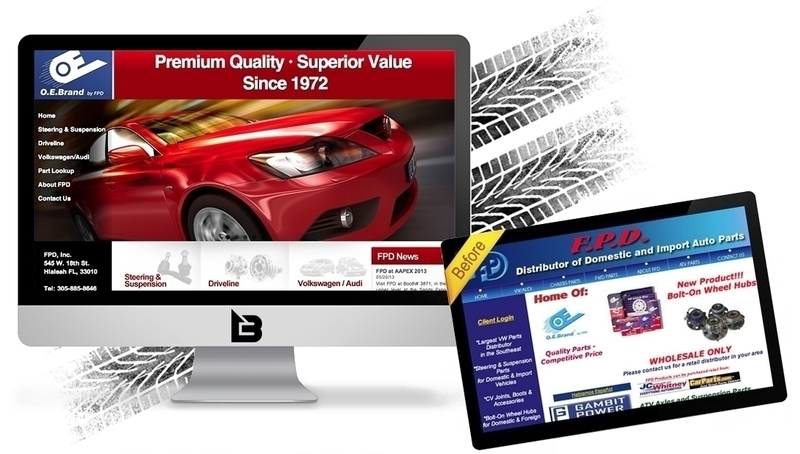 FPD is a world-wide leader in the automotive aftermarket since 1972. O.E. Brand by FPD covers a broad range of lines for all makes and models, including Steering and Suspension, Control Arms, CV Joints, Wheel Hubs, Strut Mounts, and more. With over 150,000 square feet of warehouse space, barcoded inventory management, and on-site quality control measures, they offer assurance to their customers that they are receiving premium quality parts and one of the best fill rates in the industry.